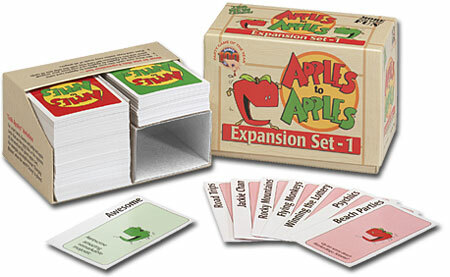 The Apples to Apples card game is one of the most popular family/fun games available. Because the game relies on surprising and humourous combinations of words, the game can be be endlessly entertaining: as long as the supply of words holds out. And now with the Expansion Sets, it can! Each expansion has 216 Red Apple cards and 72 Green Apple cards. So get all 5 Expansion Sets and keep having fun for months and months to come!